“Serving”. I believe it is important to give your time and talents to the community that we are so fortunate to be able to live in, raise our families, work with people of the same value systems, and grow as individuals. Having and maintaining community efficacy allows us continued growth of opportunity and growth of sustainability. 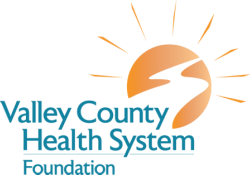 I look forward to being a part of the Valley County Health System Foundation Board as our Health Care system is a integral part of our communities growth. Husband-Greg; We have five boys; Orrin, Lathan, Flagan, Macon and Talon. ​We have been blessed with a daughter-in-law, Katrina and our Grandson Luck.